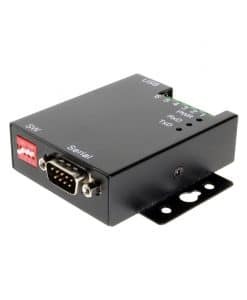 Isolated industrial USB to Serial port on USB connect RS-422 and RS485 devices, used in industrial environment. 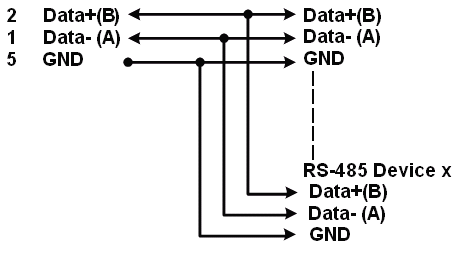 With RS-485 the data direction is controlled by the port, without further action from the software. Optically Isolated your serial signal connection up to 2000V DC. 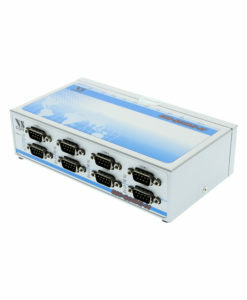 An ideal solution for notebook or PC serial communication. Provides up to 25KV surge protection from ESD occurrences. 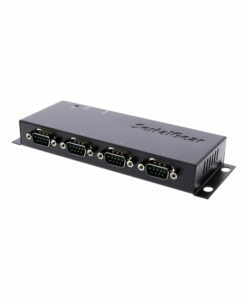 Supports Automatic transmit and receive control for 2-wire RS-485 half-duplex mode. The USB-COMi-SI USB to Serial RS-422/485 port adapter is individually optically isolated with 2000 volt DC optical isolation. The optical isolation protects your PC or notebook from spikes and surges on the RS-422/485 network. This is done by converting the electrical pulse into an optical signal and then changing it back into an electrical pulse. Your computer is well protected, since the surges and spikes cannot cross the optical link. The USB to serial signals on the RS-422/485 port are individually protected by a surge protector to withstand electrostatic discharge and power surges up to 25KV ESD. Surge suppression on all signals prevents damages caused by lightning and high voltage. The USB to serial port having 512 byte FIFO allows high-speed communication, even in heavily loaded systems. Unique features reduce the system load. The serial port also allows unusual speed settings like 500.000bps. The USB to Serial Optical Isolated Converter has certain accessories that work with it. These accessories are what you can order if needed.